Taslima Akhter. 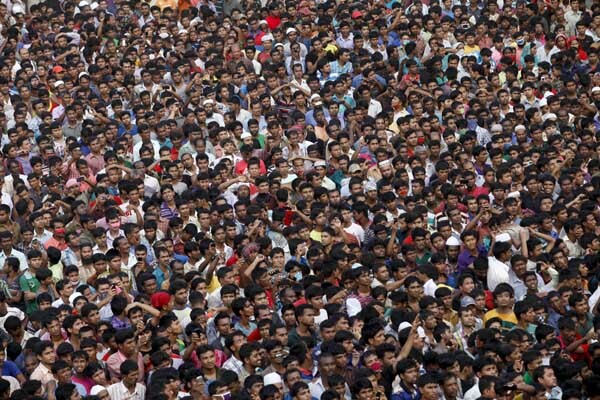 Savar Dhaka, Bangladesh. April 24, 2013. (In Bangla)?Interview of rescue volunteer Mohammad Ferdous at Rana Plaza from Shahidul Alam on Vimeo. 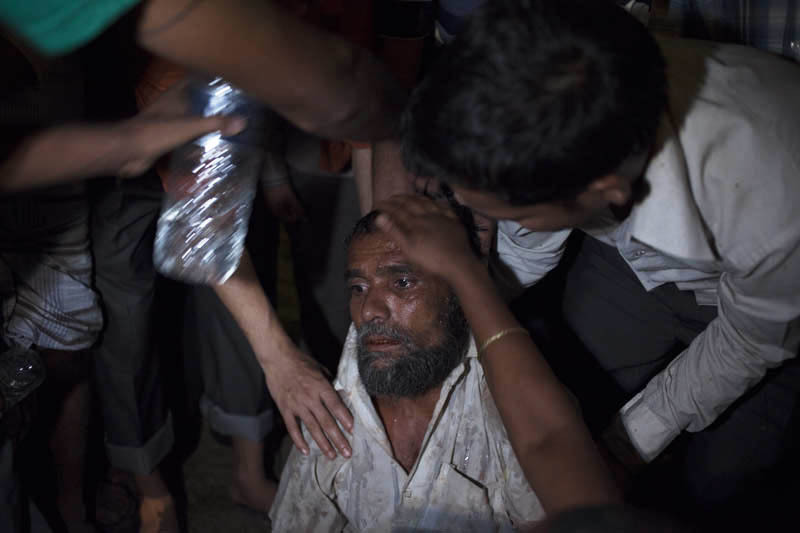 (In Bangla) Volunteer rescue worker Mohammad Ferdous breaks down in tears as he recalls how he had to saw off a hand of a trapped worker in order to free her from the wreckage of Rana Plaza where around a thousand workers are still reported missing. Pity we still can’t use youtube as it is still banned in Bangladesh. Who Pays the Real Price of Your Shirt? By David Bacon, The Progressive. 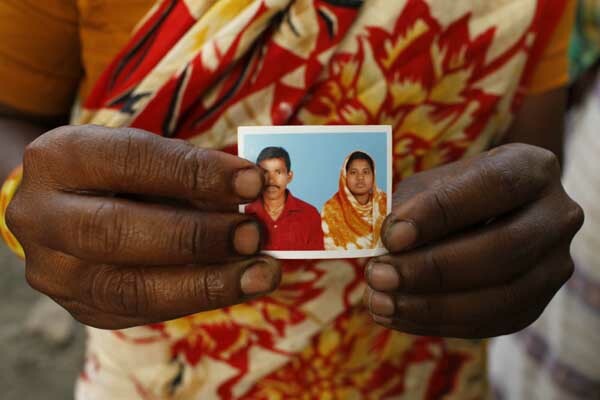 Seven hundred workers have died in factory fires in Bangladesh since 2005, including the 112 who burned to death or jumped to their deaths at the Tazreen factory on November 24th. 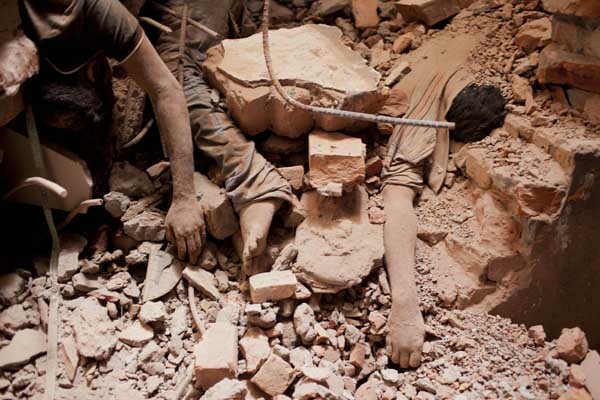 Now hundreds more bodies are being pulled from the rubble of the Rana Plaza building, in an industrial district 18 miles from Dhaka. At Tazreen the owners didn?t build fire escapes. They?d locked the doors on the upper floors ?to prevent theft,? trapping workers in the flames. Author Shahidul AlamPosted on April 28, 2013 Categories Bangladesh, Capitalism, Corruption, disasters, economy, Garments, Governance, Human rights, politics, South AsiaTags Bangladesh, BGMEA, David Bacon, garments, Rana Plaza, Savar, Tazreen Fashions, The Progressive1 Comment on Who Pays the Real Price of Your Shirt? Factory executive returns unscathed after two days ?in hell? 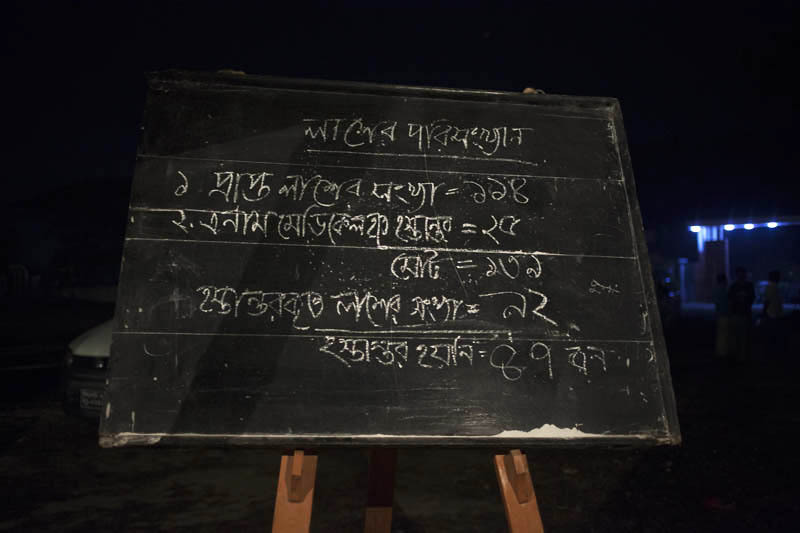 For two days, Sabiha Sultana Mukta lay pinned in the darkness – the lifeless body of a colleague to one side, a concrete pillar just above her head. 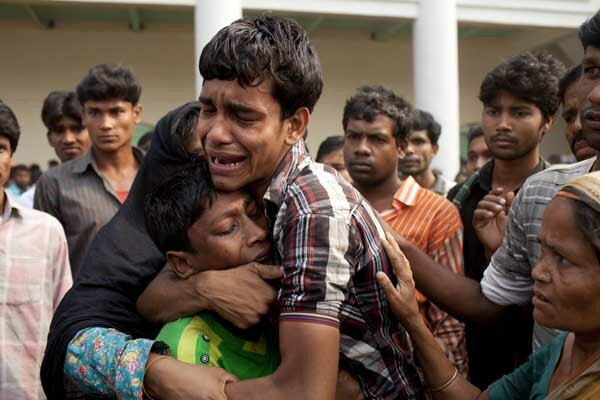 Latest count 261 dead, 371 missing. bdnews24.com 4:00 am GMT. 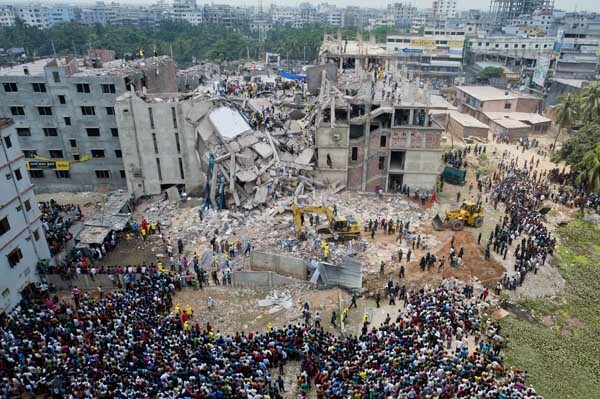 Wednesday, 24 Apri: The Clean Clothes Campaign, along with trade unions and labour rights organisations in Bangladesh and around the world is calling for immediate action from international brands following today’s collapse of the Rana Plaza building in Savar, in Dhaka Bangladesh. 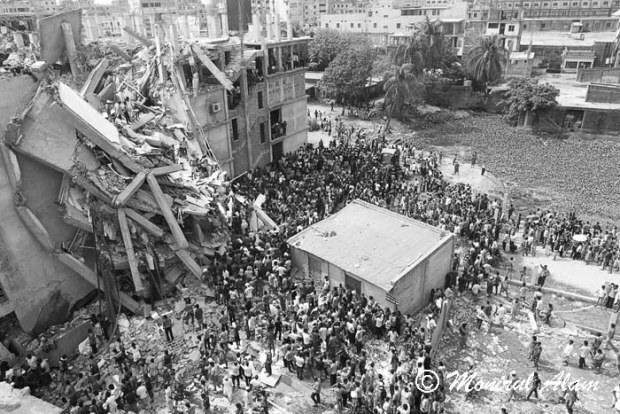 The collapse of the eight story building, covering three factories and a mall, cost the lives of at least 82 people and injured over 800. 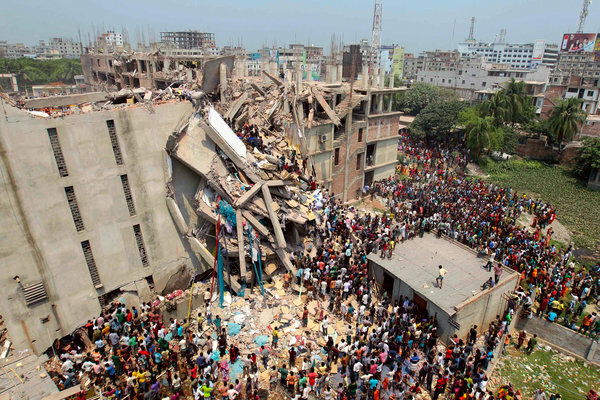 Activists today managed to enter the ruins of ‘Rana Plaza’ and found labels linking major European retailers to this latest tragedy: Spanish high street brand Mango and British Primark. 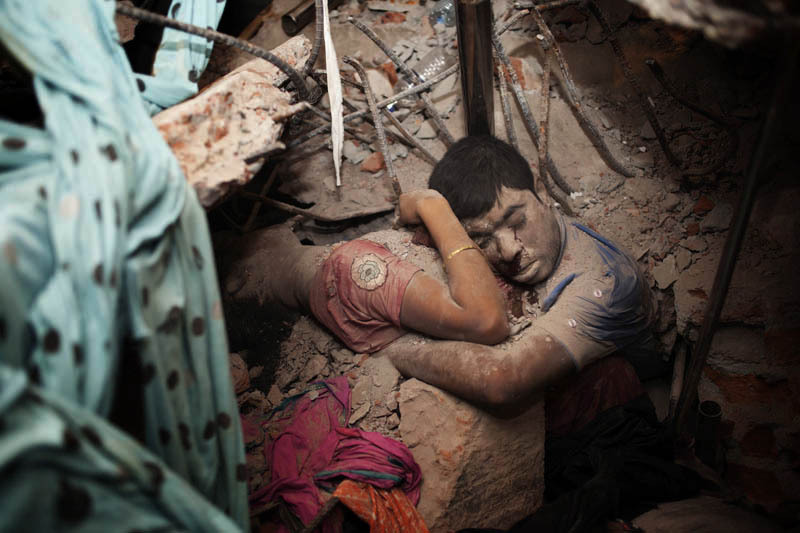 Rana Plaza also produced for a host of well known European and US brand names including C&A, KIK and Wal-Mart. These brands were also involved in the fire at the Tazreen factory, not far from Savar, where 112 workers died in a fire exactly five months ago. German costcutter KIK was also involved in the Ali Enterprises fire in Pakistan, where nearly 300 workers burned to death last September. 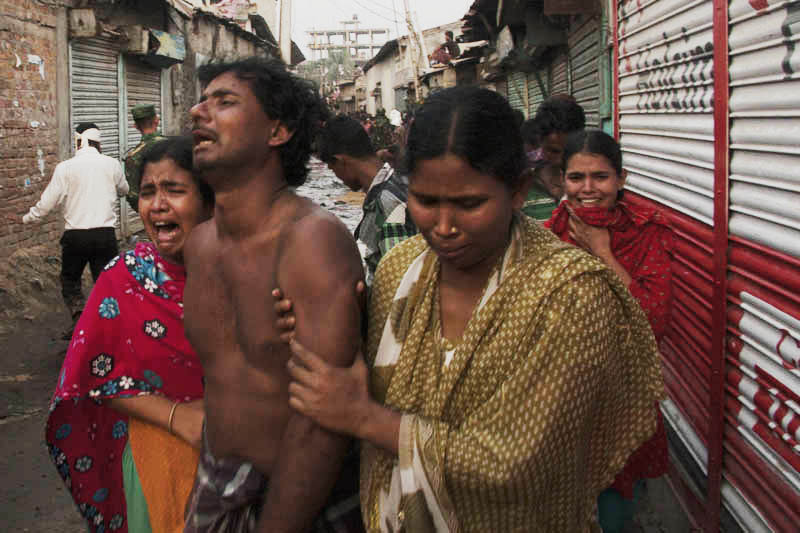 The killed and injured workers were producing garments for when their factory ? with allegedly illegally built floors – suddenly gave way with a loud sound, leaving only the ground floor intact. This latest collapse provides yet further evidence that voluntary company led monitoring has failed to protect workers? lives. Labour rights groups say unnecessary deaths will continue unless and until brands and government officials agree to an independent and binding fire and building safety program. ?It’s unbelievable that brands still refuse to sign a binding agreement with unions and labour groups to stop these unsafe working conditions from existing. 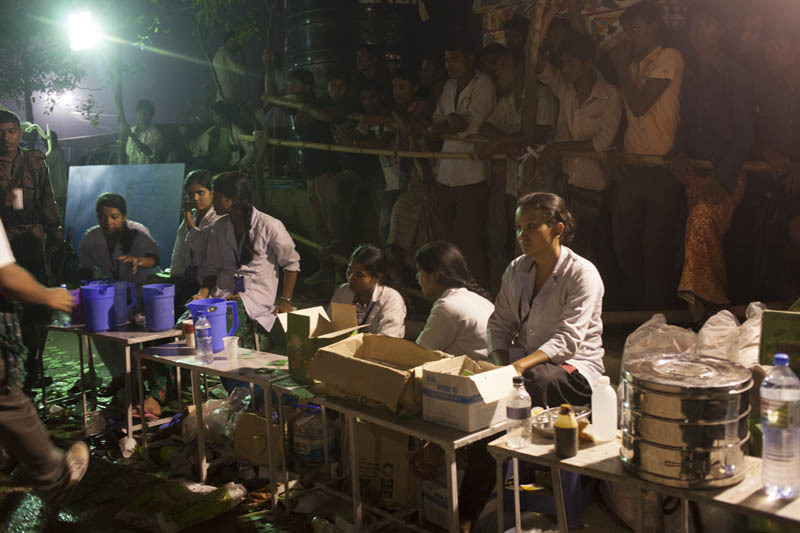 Tragedy after tragedy shows that corporate-controlled monitoring is completely inadequate,? says Tessel Pauli from Clean Clothes Campaign. She adds: ?Right now the families of the victims are grieving and the community is in shock. 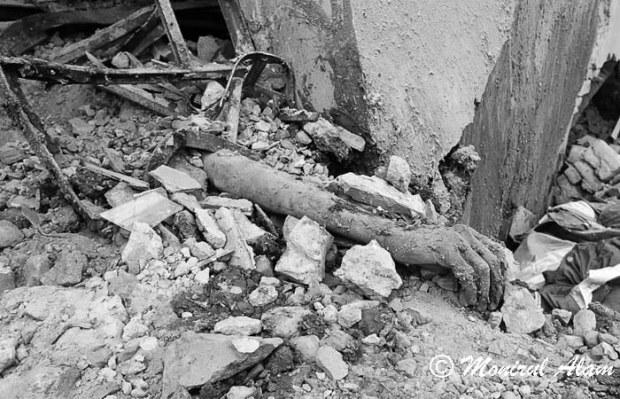 But they, and the hundreds injured in the collapse, are without income and without support. Immediate relief and longterm compensation must be provided by the brands who were sourcing from these factories, and responsibility taken for their lack of action to prevent this happening.? 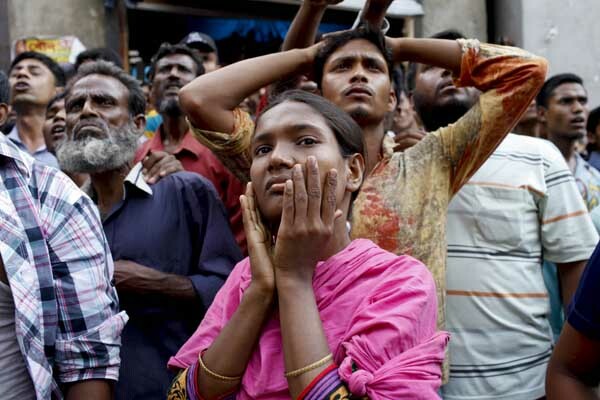 To stop these collapses from happening, the Clean Clothes Campaign calls upon brands sourcing from Bangladesh to sign on to the Bangladesh Fire and Building Safety Agreement immediately. The CCC, together with local and global unions and labour rights organisations has developed a sector-wide program for action that includes independent building inspections, worker rights training, public disclosure and a long-overdue review of safety standards. It is transparent as well as practical, and unique in being supported by all key labour stakeholders in Bangladesh and internationally. The agreement was already signed last year by the US company PVH Corp (owner of Calvin Klein and Tommy Hilfiger) and the German retailer Tchibo. The labour signatories are now calling on all major brands sourcing in the industry to sign on to the initiative in order to ensure its rapid implementation. The programme has the potential to save the lives of hundreds of thousands of workers currently at risk in unsafe and illegally built factories. 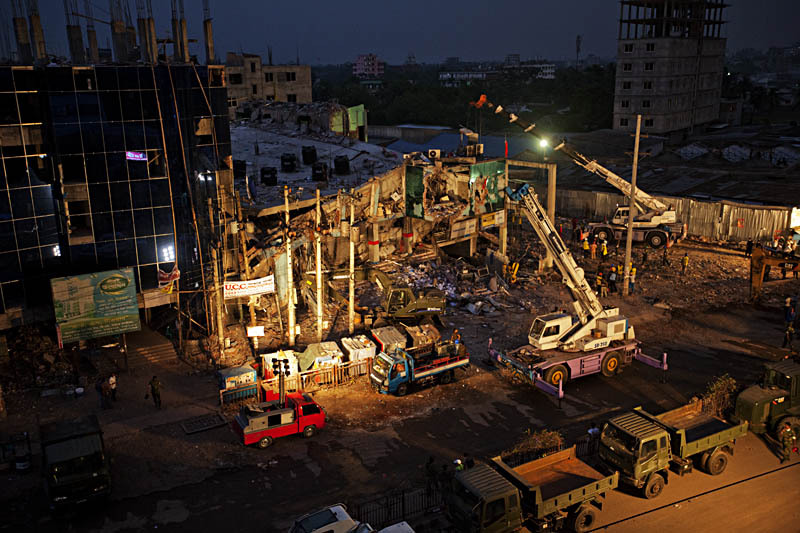 CCC has been campaigning on safety issues in Bangladesh since the collapse of the Spectrum factory in 2005, which left 64 people dead and involved high street brand Zara. Dhaka, Bangladesh. 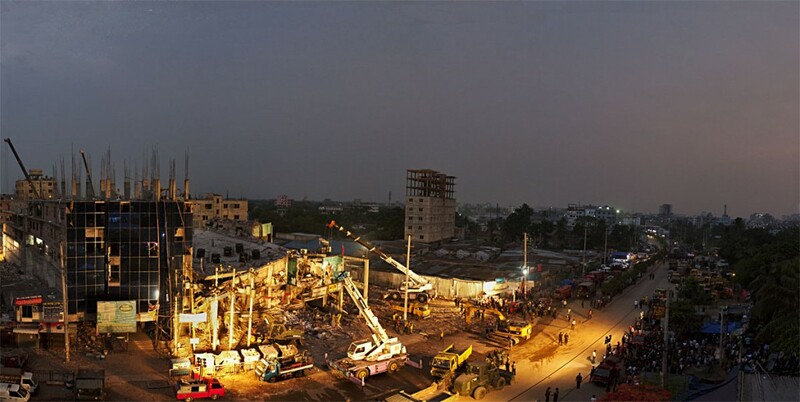 April 24, 2013 [DrikNEWS] – At least 100 garments workers have been found dead and 600 others injured as an 8-storied building, Rana Plaza, collapsed in Savar bus-stand area of Dhaka on Wednesday morning. Four garments factories and a bank branch located in the complex were closed on Tuesday after the building?s wall showed cracks. 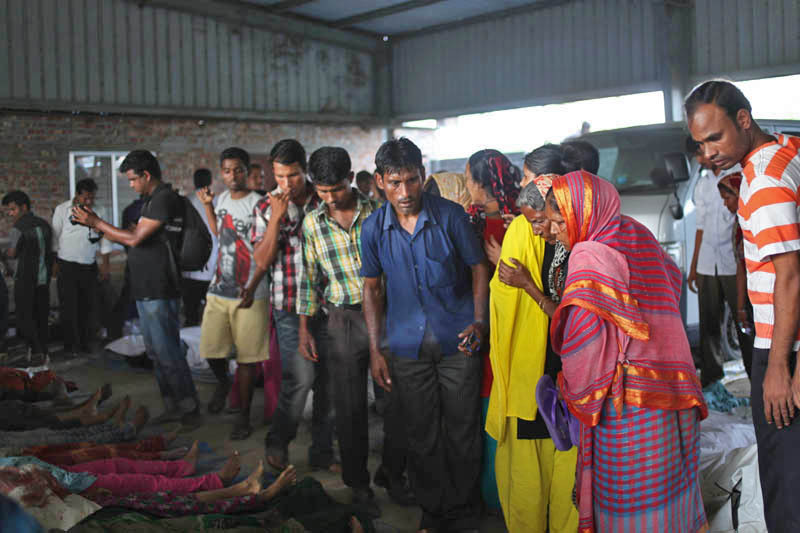 However, some workers returned to factories on Wednesday before the collapse. 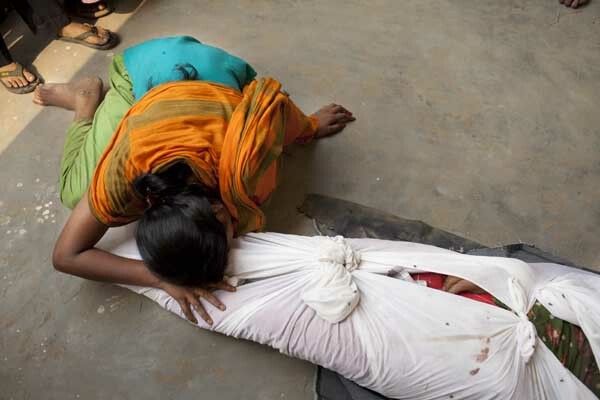 The injured workers of the Rana Plaza collapse alleged that they had been compelled to join work Wednesday. They also alleged that garments authorities forced them to enter the risky building on Tuesday. 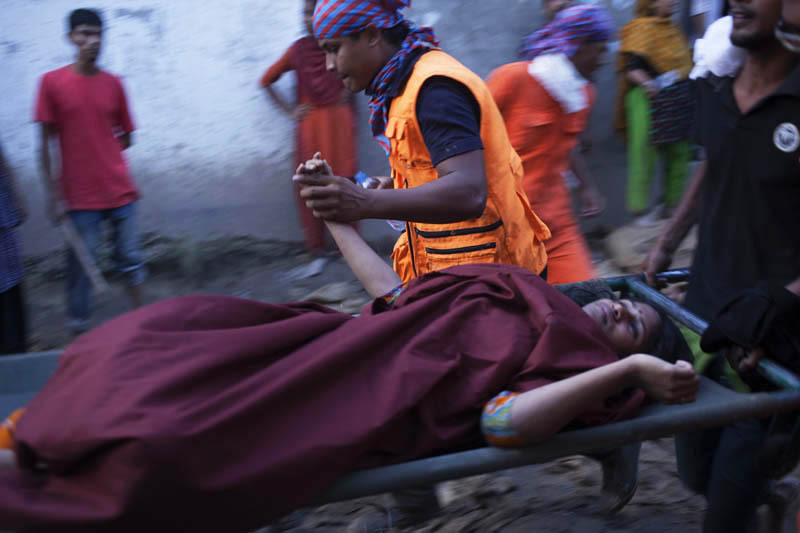 Prime Minister Sheikh Hasina is closely observing the incident and ordered three unit of Army instantly to start rescue mission.